Our inreach ministry helps us to care for one another through prayer and action. This ministry is one of both prayer and presence. The Inreach committee meets monthly to update our prayer list, pray for all who have requested our prayers, and discuss other ways our community may be called to better support ways we can care for one another. St. Stephen’s ECW has been called the backbone of our church. Every woman is a member. They meet quarterly at the Parish House, in their homes, or on field trips to Delta churches and towns. They uphold the mission statement of the Diocesan ECW by bringing together women to spread the word of Christ’s Kingdom through prayer, study, communication, and outreach. The men of St. Stephen’s are also very active. They host the annual Shrove Tuesday Pancake Supper, which is one of our town’s most anticipated yearly events. The men also gather twice a year to enjoy a steak supper. When we gather, we like to share a meal. 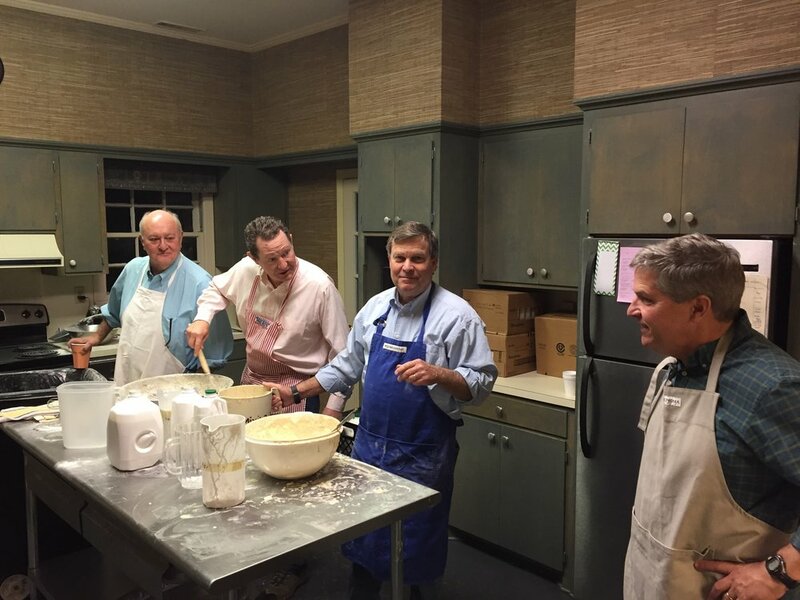 Many hands make light work as we host our bi-annual parish picnics and other gatherings. Be sure to check our calendar for upcoming events.